Allied Vision will be at the VISION 2018 machine vision trade fair at the Stuttgart Exhibition Center from 6–8 November (Hall 1, Booth D30) with the slogan "Rethink embedded vision" and a focus on industrial embedded vision. The first models of the new Alvium Camera Series, which is presented to the VISION audience for the first time, take center stage at Allied Vision's booth. The Allied Vision Alvium Camera Series is a camera platform that addresses the limitations associated with current camera modules for embedded applications and offers system designers a new level of freedom, according to the camera-maker. Powered by ALVIUM Technology, a system-on-chip designed by Allied Vision, the camera series delivers industrial performance to embedded vision and combines the advantages of classic machine vision cameras with the advantages of embedded sensor modules. The Alvium 1500 Series cameras provide easy hardware and software integration for embedded applications. All models come with a MIPI CSI-2 interface for embedded vision application development. The Alvium 1500 provides a basic feature set. The software integration can be realized via Video4Linux2 or GStreamer for a simple integration of the camera to the software environment of the embedded system. The configuration of image pre-processing functionalities can be performed directly on the image signal processor in the camera. Depending on the demand of the embedded designers, a direct register access is available to get the full control of the camera. Following both MIPI CSI-2 and USB3 Vision standards, the 1800 Series can be used for either industrial embedded vision or machine vision applications. With an advanced feature set for image correction and optimization, the camera series combines the advantages of classic machine vision cameras with the advantages of embedded sensor modules. 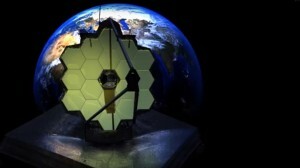 It opens up new ways for users to switch from PC-based image processing applications to embedded systems. Designers can choose from more image pre-processing and advanced image processing functionalities for their embedded vision application, which can be operated directly on the camera. In addition to Video4Linux2 (V4L2) and direct register access, the camera control is feasible via the machine vision standard GenICam, providing access to the world of industrial machine vision for embedded vision designers. The Alvium SoC supports all common sensor interfaces and is designed for a wide selection of current and future image sensors with resolutions from VGA to 21 megapixels. A single driver covers all sensor variants of the camera series. With minimal development effort, different cameras with different sensors can be tested, different resolution variants of a system can be developed or existing systems can be converted to new sensors. In close partnerships, Allied Vision develops and provides driver support for a range of embedded boards, such as NXP i.MX 6/8-based boards and the Nvidia Jetson boards, for Alvium cameras. The launch of the Alvium series will initially support the NXP i.MX6 and Nvidia Jetson platforms. Later, support will be extended to i.MX8 and i.MX8M. 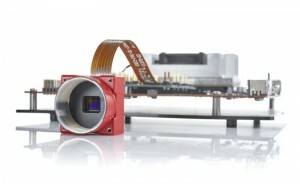 Allied Vision says it will be one of the first camera manufacturers to offer a camera driver for the new Nvidia Jetson AGX Xavier, thanks to a partnership with Antmicro, a Polish embedded technology specialist.